Nose Magic – World's Best Nose Job Alternative! : Nose Magic, The world’s best nose job alternative! DISCLAIMER: The result of using Nose Magic varies from client to client. A small number of user may experience very slow changes and some might experience no changes at all. 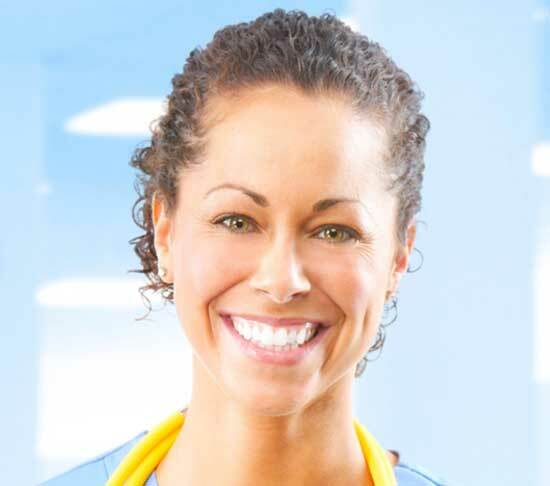 We offer a 100 day money-back guarantee in case you are not satisfied with the results. Nose Magic is the world’s number 1 nose job alternative. Only $25.90 USD with 100 day money back guarantee! We ship free worldwide. Nose Magic™ is a nose reshaper that will help make nose smaller. It is an instrument that helps mold the cartilage in our nose. There are three possible effects that you may achieve when using this device to make nose look smaller. One: It may make your nose smaller. Two: It may make your nose thinner or slimmer and lastly, It may make the bridge of the nose taller and pointier, giving a lifted appearance and removing bumps or humps in the process. Possible results : Thinner, Pointier, Smaller and more defined Nasal Shape. To fix a club foot, Doctors place Dennis-Brown shoes and over time, the foot will straighten. To straighten the hard bones in our spinal column in cases of Scoliosis, Doctors place Milwaukee brace to realign the back. These are the principles on how we made this new and amazing product that can change the world of Rhinoplasty. 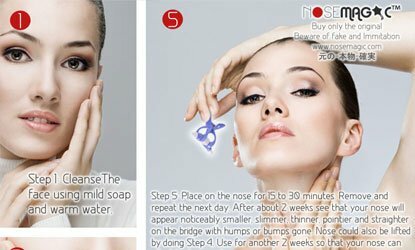 You can only buy Nose Magic™ here at nosemagic.com. 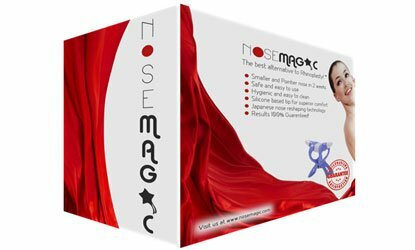 Nose Magic™ is not sold on Ebay, Amazon or anywhere else. 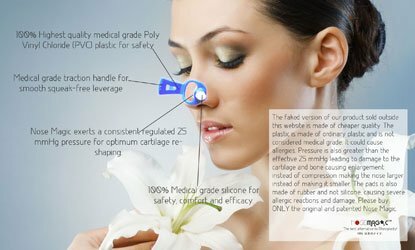 If you bought Nose Magic™ from stores or websites other than nosemagic.com, we are sure that it is fake and might cause irreversible damage to your nose. How does Nose Magic™ works? Placing it on the cartilage of your Nose may make it smaller and pointier. How? Read on how Nose Magic™ may help your nose get smaller. Thousands of satisfied customers send us positive feedback each year, all coming from real people like yourself. Check our Success Stories and Testimonials page. We collected the most frequently asked questions from our customers and compiled it in one single page. Feel free to explore our FAQs page and know Nose Magic™ better. We send our clients expert recommendations from our resident aestheticians. 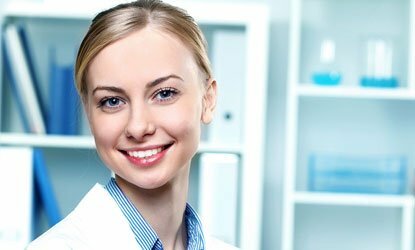 All you need to do is to CONSULT OUR EXPERTS and send us you nose picture either front view, side view or both and we will process it and mark the correct sites with proper instruction, duration as well as frequency. We will also constantly monitor your progress and update instructions as needed as your nose changes. Nose Magic is very easy to use. In this five simple steps, you can start using this simple and amazing device. Nose Magic was created by Japanese Surgeons to be a Rhinoplasty alternative. Nose Magic could be the answer to your nasal shape problems and it works on majority of individuals. However, take note that results could vary and there is a small percentage of users that do not respond with nose reshaping. CLICK HERE TO KNOW MORE. Nose Magic is not just your ordinary device. Our product is made of the highest quality material scientifically created to produce the most extraordinary results. Nose Magic is engineered to perfection harnessing safety, efficacy, technology and engineering dynamics to give the best nose reshaping experience ever no imitations could provide. CLICK HERE TO KNOW WHY DOES IT WORK. We deliver anywhere in the World. Our Nose Magic™ is hundred percent GENUINE from Japan. Please allow us 15 to 25 days for delivery. Less than 15 days if you are in Asia. Beware of fake Nose Magic™ from scam websites. They are not genuine and are made of poor quality that could damage your nose. CLICK HERE TO BUY THE AUTHENTIC NOSE MAGIC. DISCLAIMER: Nose Magic is a device created for pure aesthetic purposes only. It should not be used to treat breathing difficulty, nasal obstruction, nodules, polyps, pain and other major nasal deformities. 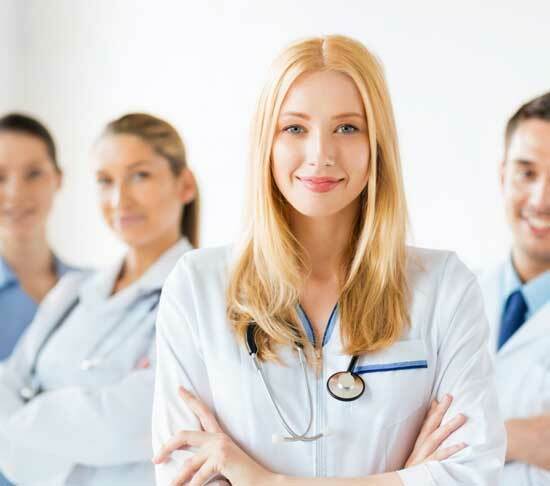 You should consult an EENT Specialist if you are experiencing a medical concern. Nose Magic cannot replace medical surgery and should not be used to treat any symptom or disease.